The music of Thai composer NARONG PRANGCHAROEN has been called “absolutely captivating” (Chicago Sun Times). Although still in his early thirties, Prangcharoen has established an international reputation and is recognized as one of Thailand’s leading composers. Prangcharoen has received many international prizes, including the Alexander Zemlinsky International Composition Competition Prize, the 18th ACL Yoshiro IRINO Memorial Composition Award, the Pacific Symphony’s American Composers Competition Prize, the Toru Takemitsu Composition Award, and most recently, the Annapolis Charter 300 International Composers Competition Prize. In 2007, the Thai government named Prangcharoen a Contemporary National Artist and awarded him the Silapathorn Award, one of Thailand’s most prestigious honors.Recently, He has won the American Composers Orchestra Underwood New Music Commission and the Audience Choice Award. Prangcharoen’s music has been performed in Asia, America, Australia, and Europe by many renowned ensembles such as the Tokyo Philharmonic Orchestra, the Pacific Symphony, the Grant Park Orchestra, the Nagoya Philharmonic, the Melbourne Symphony, the Annapolis Symphony Orchestra, and the Bohuslav Martinů Philharmonic, under many well-known conductors, such Carl St. Clair, Carlos Kalmer, Jose-Luis Novo, and Mikhail Pletnev. His music has also been presented by, among others, The Chamber Music Society of Lincoln Center, Ensemble TIMF, The New York New Music Ensemble, the Imani Winds, and pianist Bennett Lerner. 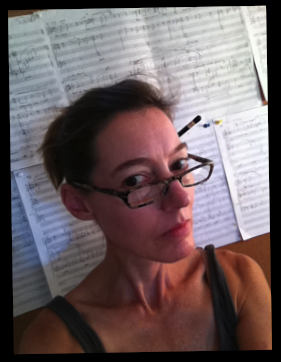 Laurie San Martin is a composer, teacher and occasional clarinetist and conductor. 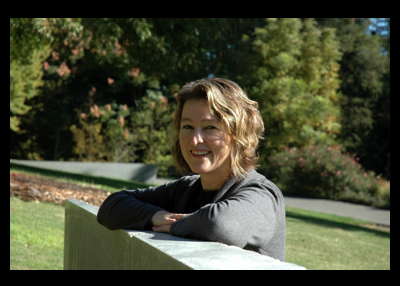 She is associate professor of music at UC Davis where she teaches music theory and composition. She has written for chamber ensemble, orchestra, theater, dance and video. She is recipient of many honors including from the League of Composers-ISCM and the American Academy of Arts and Letters and her music can be found on The Left Coast Chamber Ensemble’s “San Francisco Premieres” CD and on “Tangos for Piano” the Raviello label and performed by Amy Briggs. 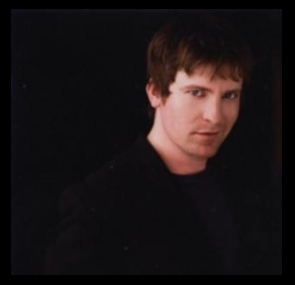 Composer/conductor Rob Deemer (b.1970) first came to national attention in 1993 when he was named the College Winner of the Down Beat Magazine Student Music Award for “Best Extended Composition”. Since then, his career has taken him and his works from jazz clubs in Chicago, stage shows on a Caribbean cruise liner and film scoring studios in Los Angeles to concert halls, theatrical stages and film festivals across the country and around the world. Ensembles that commissioned and/or performed works by Deemer include the Rasçher Saxophone Quartet, U.S. Army Orchestra (Pershing’s Own), Buffalo Chamber Players, Brightmusic Ensemble, Quintet of the Americas, Florestan Art Song Project, Washington Trombone Ensemble, Millar Brass Ensemble, Chicago Trombone Consort and Quartet, Florida State University Graduate Flute Choir, Tosca and MacArthur String Quartets, trombone ensembles and new music ensembles at the University of Texas and University of Oklahoma, the Austin Civic Orchestra, Kishwaukee Symphony, University of Texas Symphony, and SUNY Fredonia Chamber Orchestra and Womens Choir as well as the wind bands from the University of North Texas, Cal State-Northridge, SUNY Fredonia, Roosevelt University, Texas State University and Northern Illinois University. In the fall of 2010 he began his tenure as composer-in-residence with the Buffalo Chamber Players. Deemer has held teaching positions at The University of Oklahoma, Oklahoma City University and The University of Texas. 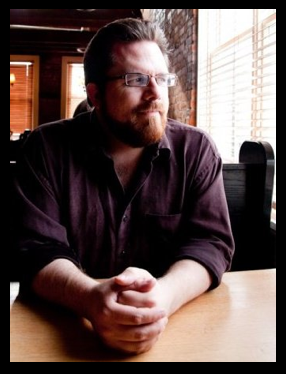 He currently holds the position of Assistant Professor and Head of Composition in the School of Music at SUNY-Fredonia. He is a member of the NYSSMA Composition/Improvisation committee and teaches in the summer on the composition faculty of the Interlochen Summer Arts Camp. Matthew Reid’s been making music since he was considerably small and studied classical composition with some of Canada’s most respected composers including Walter Buczynski and Lothar Klein. For the last ten years, he’s been known for creating scores for comedic productions including the Dora Nominated “Bird Flu Over the Cuckoo’s Nest” and “Tased and Confused”, the Canadian Comedy Award winning “Facebook of Revelations the notorious “Swiss Family Guy Robinson.” Essentially he gets to spend every night getting laughed at. Always a little out of fashion, he never really found an outlet for his “serious” works, nevertheless, he continues to occasionally create music for music’s sake that makes him and a small group of people pretty happy. He also autotuned John Cage’s 4’33”. Seriously. Chiayu was born in Banqiao, Taiwan. She was the winner of Lynn University international call for scores, the 2010 Sorel Organization recording grant, music+culture 2009 International Competition for Composers, the Sorel Organization’s 2nd International Composition Competition, the 7th USA International Harp Composition Competition, ASCAP Morton Gould Young Composer’s Awards, the Maxfield Parrish Composition Contest, the Renée B. Fisher Foundation Composer Awards among others. Her work has been performed by the London Sinfonietta, the Detroit Symphony Orchestra, the San Francisco Symphony, the Nashville Symphony, the Toledo Symphony, the American Composers Orchestra, the Cabrillo Festival Orchestra, the Flagstaff Symphony Orchestra, the Lynn Philharmonia Orchestra, Aspen Music Festival Contemporary Ensemble, Eighth Blackbird, Ciompi Quartet, Strelitzia Trio, and Prism Quartet. 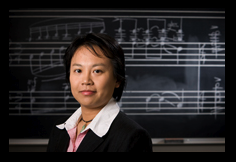 She has received her Ph.D. at Duke University, Master of Music at Yale University School of Music, and Bachelor of Music at the Curtis Institute of Music. Her teachers have included Jennifer Higdon, David Loeb, Roberto Sierra, Ezra Laderman, Martin Bresnick, Anthony Kelley, Scott Lindroth, and Stephen Jaffe. Alex Freeman composes in a wide range of styles and media. He holds degrees from the Eastman School of Music, Boston University’s School of Fine Arts, and the Juilliard School, where he completed his doctoral studies in 2004. 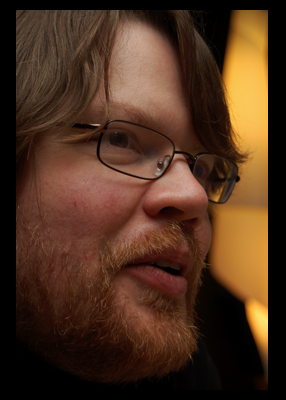 His doctoral research led him to Finland, via Fulbright Fellowship, where he lived for six years, studying at The Sibelius Academy and freelancing, before he assumed his current position of Assistant Professor of Music in Composition at Carleton College in Northfield, MN. Freeman has won awards from ASCAP, The American Academy of Arts and Letters, The American-Scandinavian Foundation, American Composers Forum, and The Fulbright Foundation, among others. From solo to orchestra, epigram to epic, Edie Hill’s music unfolds seamlessly in all spaces and idioms. Born in New York City (1962), her works are widely performed in the United States, Canada, Eastern and Western Europe. Venues and presenters have included Lincoln Center, LA County Museum of Art, the Library of Congress, Walker Arts Center, Cape May Festival (NJ), The Downtown Arts Festival (NYC), Liviu Cultural Center (Romania), Feszek Müvészklub (Budapest), the towns of Alkmaar, Zeist, Groningen, Zutphen, Breda and Bilthoven (The Netherlands), St. Paul’s Schubert Club, classrooms and cafes, basilicas and back yards. A three time McKnight Artist Fellow and a two-time Bush Artist Fellow, Hill has been awarded grants from the Jerome Foundation, ASCAP, Meet The Composer and Chamber Music America to name a few. She actively cultivates the talents of young composers and musicians as well as educating and engaging the public in the music of today. She has been a guest lecturer at such institutions as Syracuse University, the American Composers Forum, the Iowa Composers Forum Nuts N’ Bolts Festival, Tufts University, the University of Michigan and Delft University (Netherlands). Hill earned a B.A. in music composition and piano performance at Bennington College where she studied with Vivian Fine, then earned her M.A. and Ph.D. degrees from the University of Minnesota with principle composition teacher Lloyd Ultan. She has also studied extensively with Libby Larsen. Hill is Composer-in-Residence at St. Paul’s Schubert Club where she runs the Composer Mentorship Program. She resides in Minneapolis where she works as a freelance composer.